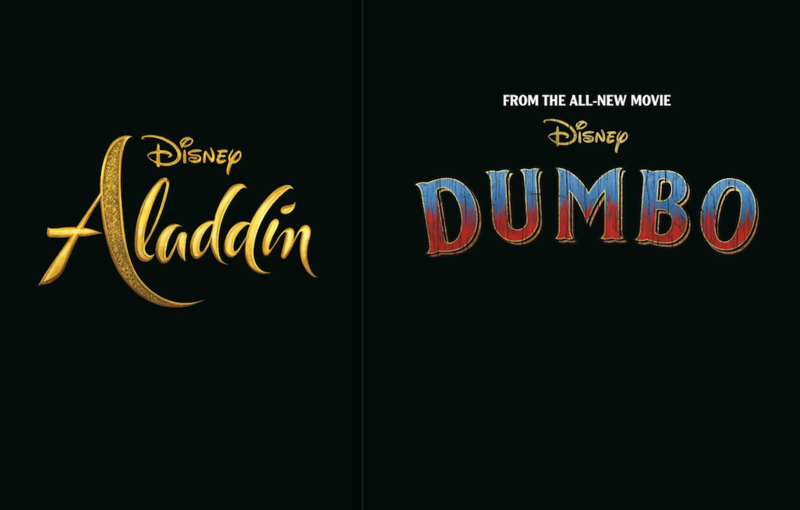 Dark Horse takes on Disney graphic novels 'Aladdin' and 'Dumbo' in 2019 – AiPT! New anthology graphic novels being released to coincide with movie releases. In case you haven’t noticed Disney is rebooting classic cartoons like it’s going out of style. First, it was the Jungle Book in 2016 and soon Lion King, Aladdin, and Dumbo will be live action films too. Now those same films are getting graphic novel adaptations. Dark Horse Comics is partnering up with Disney to produce graphic novels for both Aladdin and Dumbo in 2019. Dumbo will the be the first to hit comic shops and bookstores on March 26, 2019 and it will be written by John Jackson Miller with art by Giovanni Rigano, Alberto Zanon, Paola Antista, and Michela Bovo. An anthology, this work sprouts from Tim Burton’s upcoming film out March 29th. Next up is Aladdin written by Corinna Bechko along with artist Pablo Vite dropping into bookstores April 30th, 2019. Moviegoers will be able to see Aladdin in cinemas–with Will Smith as the genie–May 24th, 2019. You can read the full press releases below. Will you be buying these new comic anthologies to go with the films? Let us know your thoughts in the comments! MILWAUKIE, Ore., (January 4, 2019)–On March 29, 2019, fans of all ages will experience the magic of Disney’s beloved classic Dumbo like never before on the big screen with a live-action adaptation by the one and only Tim Burton. Ahead of this highly anticipated family feature is a graphic novel from Disney and Dark Horse Books expanding on the story of the world’s favorite flying elephant! Written by John Jackson Miller with art by Giovanni Rigano, Alberto Zanon, Paola Antista, and Michela Bovo, this anthology takes off to inspire with the magic of Disney Dumbo. The beloved story of Dumbo the flying elephant and all his circus friends continues in five interconnected tales at Max Medici’s circus–a place full of curiosity, wonder, and awe. Follow Dumbo and friends on a path of discovery where differences are celebrated, and dreams soar! Disney Dumbo: Friends in High Places TPB goes on sale March 26, 2019, and is available for pre-order on Amazon, Barnes & Noble, and TFAW, and at your local comic shop. This 72-page trade paperback retails for $10.99. MILWAUKIE, Ore., (January 3, 2019)–Dark Horse enters a whole new world with a Disney Aladdin (Live Action) graphic novel! Disney Aladdin (Live Action) TPB is the perfect graphic novel companion to Disney’s all new live-action film Aladdin, directed by Guy Ritchie, in theaters May 24, 2019. Writer Corinna Bechko along with artist Pablo Vite and more bring the individuality and spirit of Aladdin and friends to the forefront in this fun-filled anthology. Travel through the vibrant city of Agrabah in four interconnected tales connected to Disney’s all new live-action film. Follow a day in the lives of Aladdin, Jasmine, and Genie, and tag along on an adventure with friends Abu, Raja, and the Magic Carpet! Disney Aladdin (Live Action) TPB goes on sale April 30, 2019, and is available for pre-order on Amazon, Barnes & Noble, TFAW, and at your local comic shop. This 72-page graphic novel anthology retails for $10.99.